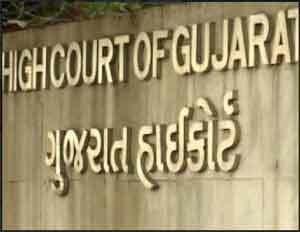 Ahmedabad: In view of the Gorakhpur tragedy, the Gujarat High Court sought to know from the Gujarat Medical Services Corporation Limited (GMSCL) if liquid oxygen is in ample supply in government hospitals in the state. A division bench of justices M R Shah and B N Karia posed this question before the GMSCL, which is responsible for procuring medicines and medical equipment for government hospitals and related institutions. It sought to know if there is any hindrance in the procurement of liquid oxygen for hospitals. The court was hearing a petition by AD More and Sons, which challenged the GMSCL’s move to reduce the rate of liquid oxygen cylinders to be purchased from vendors through tendering, claiming that it will not be feasible for vendors like itself to participate in tendering process at the given cost. AD More and Sons has been supplying liquid oxygen to the corporation for government hospitals. When the case came up for hearing, the bench sought to know from the lawyer for GMSCL, Utkarsh Sharma, if there is any hindrance in supply of liquid oxygens to hospitals here in view of the tragedy at Gorakhpur’s BRD Medical College where over 60 children have died over the past one week allegedly for want of oxygen as the vendor disrupted its supply for non-payment of dues. Sharma assured the court that medical liquid oxygen was available in ample quantity. He also submitted that the GMSCL is coming up with fresh installations in hospitals for uninterrupted supply of oxygen through tanks and pipes. The petitioner has challenged a tender floated by the GMSCL in January whereby it plans to procure materials directly from manufacturers and not through vendors to make them more cost effective. The petitioner has also contended that it will not be able to participate in tendering process as it is not a manufacturer. GMSCL is a state owned corporation.